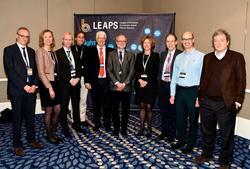 FELs of Europe was very well represented at the LEAPS launch event in Brussels on 13 November 2017. The group photo shows the representatives of the partner facilities that attended the meeting. 16 organisations representing 19 light sources facilities across Europe gathered to launch the LEAPS initiative and signed an agreement to strengthen their collaboration, in the presence of Robert-Jan Smits, Director General for Research and Innovation (RTD) at the European Commission, and Giorgio Rossi, Chair of the European Strategy Forum on Research Infrastructures (ESFRI). 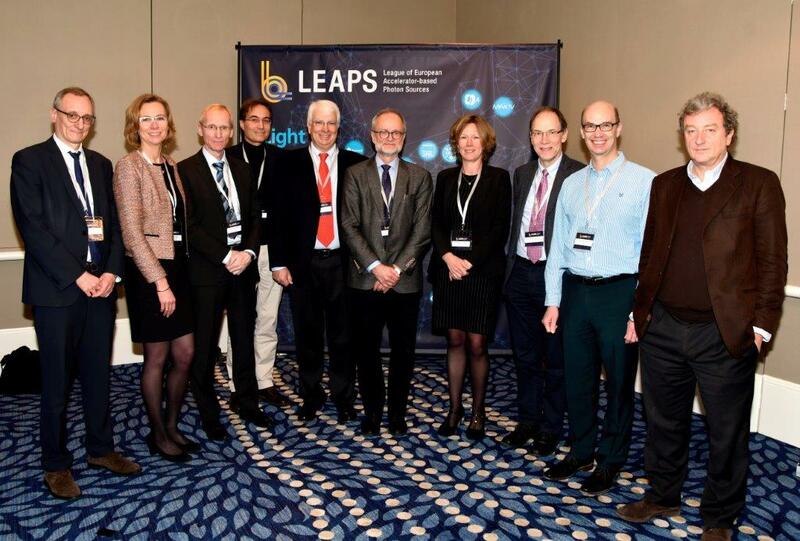 LEAPS, the League of European Accelerator-based Photon Sources, aims to offer a step change in European cooperation through a common vision of enabling scientific excellence solving global challenges, and boosting European competitiveness and integration. This will be achieved through a common sustainable strategy developed in coordination with all stakeholders, including national policy makers, user communities, and the European Commission. The light sources that form LEAPS are all accelerator-based, producing exceptionally intense beams of X-rays, ultra-violet and infrared light. They count with a community of 24 000 direct user scientists with an extended network of 35 000 researchers, among them five Nobel Prizes. These ‘super-microscopes’ are having a huge impact on science across Europe and worldwide, as they enable insights, which are not possible with more conventional equipment - enabling research on samples in the tiniest detail, helping make invisible information strikingly visible. They are helping scientists meet the challenges we face globally in 21st century society as they are used for both basic and applied research, covering virtually all fields of science from chemistry, biology and physics, to energy, medicine, cultural heritage, and engineering. •	LEAPS will further remove access barriers for industry and simultaneously increase industry’s potential to take advantage of the available instruments and techniques to better react to the rapid changing economic environment.